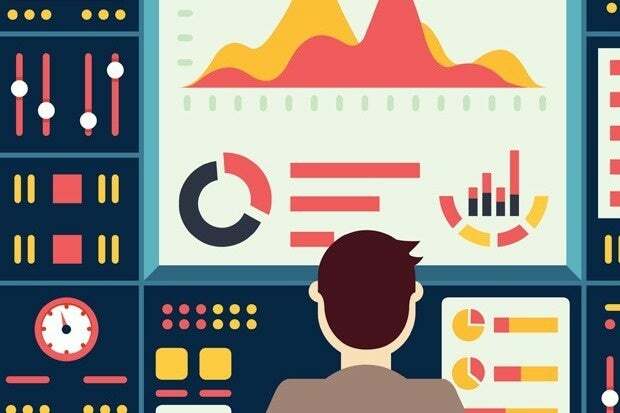 The software-as-a-service application performance monitoring provider is adding support for a popular programming language used in microservices, and also offering greater visibility into single-page applications. Modern applications increasingly rely on cloud and microservices architectures. While enabling greater efficiency and scalability, they also present operational challenges: Traditional application performance management (APM) offerings were built to provide visibility in a world of monolithic, on-premises applications. SaaS-based APM specialist New Relic is pushing hard to position itself as the APM of choice for these modern applications. "The word 'application' itself has new meaning today," says Bharath Gowda, senior director, product marketing at New Relic. "Previously applications were monolithic and maintained by one team that had complete ownership. New applications are highly distributed and call upon different third-party services to do work or call upon services developed by another development team operating in parallel." Last week, New Relic extended its monitoring to support single-page application (SPA) frameworks and libraries. And today, it announced support for the Go programming language (Golang), an open source programming language developed within Google. Golang's concurrency model, simple deployments and runtime efficiency enables applications that can scale elegantly, making it an increasingly popular choice for modern, microservices-based applications. New Relic's support for Golang allows developers to start instrumenting and monitoring those applications with New Relic APM. As with New Relic's other language agents, a few lines of code are designed to give Go applications the capability to report runtime metrics, transaction tracing and other real-time metrics for understanding the health and performance of applications. The move adds to New Relic's existing out-of-the-box support for Java, .NET, Node.js, PHP, Python and Ruby. "New Relic was founded with the belief that all things must be monitored across the software stack and has been a leader in delivering a polyglot, cloud-based APM solution," Belinda Runkle, vice president of Engineering for APM, New Relic, said in a statement today. "From enterprises looking to modernize applications to fast-growing startups, we're seeing Golang as an increasingly popular option for companies looking to quickly build flexible applications. Today we're giving our customers a first-class monitoring experience with real-time performance data from their Go applications within minutes." Gowda notes New Relic will open a public beta of its Golang agent this week. Expanding support for modern applications is also the impetus for New Relic's announcement of New Relic Browser last week. New Relic Browser gives application developers and DevOps teams visibility into the performance of SPAs. Many companies have begun deploying SPAs as a way to deliver a more responsive and engaging user experience without requiring a full page reload to retrieve a new web page or content. The browser-based app acts as a shell, which doesn't change even as new content is called. But Gowda notes that older application monitoring tools weren't designed to capture the single-page paradigm. "The definition of what is a page is completely different for a single-page application," he says. "Bionic's platform enables marketers to build dynamic, multi-channel media plans for their customers. The use of single-page applications allows us to deliver a seamless workflow for our customers, but were a black box for us in being able to pinpoint performance issues," John Swindell, vice president, operations, Bionic Advertising Systems, said in a statement last week. "New Relic Browser's support for single-page applications is key to what we're doing at Bionic and implementing it within our application was very easy. We now have insight into the performance of route changes in the application, allowing us to optimize and ultimately create the best end-user experience." Reporting on SPA route-change performance by enabling software teams to track the transition of how the user went from one view to another view, alongside traditional page load performance, with component-level data that can be customized to create fully personalized SPA reporting.